A refrigerated trucking company has been fined $80,000 and ordered to submit to tough compliance measures after pleading guilty to more than 50 overloading offences. Intercoast Refrigerated Transport left the Downing Centre Local Court this week convicted under chain of responsibility law in NSW for breaching mass requirements 55 times between January 18, 2009 and January 7 this year. As well as being ordered to pay $30,000 in court costs, the company will need to fit gauges to its fleet of about 90 vehicles and record and report the weight of each load for a year. The court halved the fine from $160,000 when mandating the order, which Intercoast Managing Director Tony Morfea says applies to all vehicles travelling on NSW roads. The industry veteran of more than 30 years is currently in the process of fitting the gauges to his vehicles and says it is "a massive impost on our business". "We have to have a complete audit trail. It’s difficult but that’s the punishment," he says. Morfea expects he will need to employ a full-time person just to manage the recording and reporting process. "I’m still coming to grips with it," he says of the court’s ruling. Morfea, who has ran Intercoast since its inception in 1989, says it is sometimes hard to determine the weight of a load because customers’ yards are not fitted with weighing technology. Despite hounding transporter under chain of responsibility law, the RTA did not drag any consignees or consignors before the court. 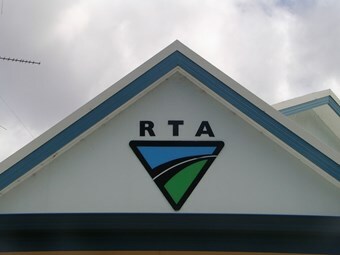 In its recent prosecution of Kalae, the RTA claimed it was "unreasonable" to pursue other parties because the loads involved multiple consignees and consignors. "They targeted us. We were the end people," Morfea says. While accepting responsibility for his actions, he says he is "disappointed" the RTA chose to sit back for two years before blitzing Intercoast. "We as a business were ambushed I suppose." "They never came near me. They just decided to go for the throat. We were in the wrong. I’m just not happy the way they went about it." Following the $290,000 fine handed out to Kalae last month, NatRoad CEO Bernie Belacic questioned why more was not being done to hold all parties accountable under chain of responsibility. He says trucking operators are fed up with being targeted and that many parties higher in the supply chain are still ignorant of their obligations under the law. The industry is banking on the introduction of the National Heavy Vehicle Regulator in 2013 to enforce effective chain of responsibility law. The bureaucrat in charge of establishing the regulator’s functions, Richard Hancock, has publicly stated he wants a strong focus on the supply chain and not just trucking operators. In a statement released today, an RTA spokesperson says overloaded trucks are dangerous to the public and transport infrastructure. "The more a truck is overloaded the more it wears out our public roads and bridges," the spokesperson says. "Overloading trucks is also unfair to the many honest road transport operators who have to compete with some companies who operate illegally." The RTA claims it has laid 2,104 charges against 72 individuals in the transport and logistics industry since chain of responsibility was introduced in 2005. It claims it has handed out 690 charges to trucking operators, 685 to consignees, 512 charges to consignors and188 against directors.